First of all, don’t believe for a second that I understand all the math behind the subject of this article. It all began earlier this week, as I was gathering resources for yesterday’s article on ConnectionOpen– The Search for ISDN’s Successor. (which BTW, got about 600 views). Among the comments was that of Dave Martin, the production manager at Lotus Broadcasting, and also a voice actor. His position offers a unique perspective of both sides of the equation. What caught my attention was his reference to Skype’s newest codec: OPUS. ‘Turns out Skype’s most recent owners (Microsoft) have been busy refining the product. OPUS is actually an extension of the internet audio compression format and codec known originally as SILK, developed earlier by Skype. Don’t leave yet! Believe me, there’s a point to all this, but I’m with ya. The more I looked into this, the further I got from my surface knowledge of how it all works. We’ve all run across the word CODEC, but what it really stands for is Compress/Decompress. (like modem is modulator/demodulator). This makes sense. It’s a formula that makes sending sound over the internet less bandwidth-intensive, and the human ear can’t tell the difference. Heard of mp3? Anyway, Skype is indeed working with OPUS to make Skype an even cleaner signal. They talk about it in this blog from late last year: SKYPE AND A NEW AUDIO CODEC. 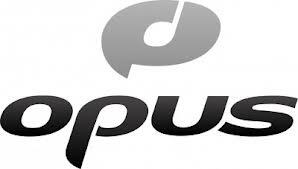 The article confidently states: “…We believe that Opus will be the new, free, go-to codec for real time communication, streaming and storage…” Thanks Dave Martin! THAT article got me deeper into the nomenclature. Believe me, I’m sparing you all the serious gobbledygook! One of the acronyms the Skype blog mentions without identifying is IETF. IETF is the Internet Engineering Task Force. I told you, the deeper you go down this rabbit hole, the geekier it gets! The IETF’s stated mission is to make the internet work better! Bottom line of this blog article: THERE ARE FORCES AT WORK TO MAKE OUR VOICE-OVER BUSINESSES BETTER OF WHICH WE REALLY HAVE NO CLUE (nor do we really have to understand the details other than to implement them correctly). Honestly, there are likely many many more internet audio solutions I’m not even aware of. Again…it’s probably all we need to know that people smarter than us are working on it. In the end, what we’re gonna need is a STANDARD format. See? Plenty of people are looking past ISDN…believing that it’s (a) going to be dropped by phone companies, or (b) something better can be devised using the internet regardless of what happens to ISDN.